February 29, 2012 - The current 11 Large Air Tankers, operated by two companies, are former Navy P2V Neptunes averaging 50 years of age. The aircraft were modified with 2,700 gallon capacity tanks for dropping fire retardant and have a remaining life expectancy of roughly 10 years. "The aerial firefighting industry has long recognized these Air Tankers were getting old and would have to be replaced," said Tom Eversole, Executive Director of the American Helicopter Services and Aerial Firefighting Association (AHSAFA) in Washington, DC. "Several years ago, in anticipation of a government strategy for modernizing the airtanker fleet, we, as an industry took the first steps toward acquiring more modern aircraft to replace the legacy fleet." Eversole reported the US Forest Service has not proposed a specific time table for total phase out of the P2Vs. However, it did finally issue the long awaited Aerial Firefighting Strategy document on February 10, 2012, although the strategy lacked detail as to how the USFS planned to accomplish the modernization of the large airtanker fleet. The USFS also issued a Request For Proposal (RFP) for modernizing the large airtanker fleet to which as many as six companies were expected to respond by the February 17 deadline. 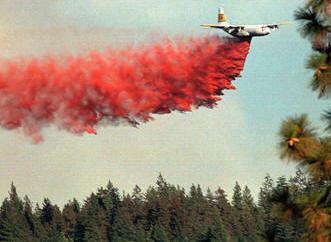 Under the RFP, the operators would acquire the aircraft and deploy them under USFS contracts. Actual acquisition costs would be borne by individual aircraft owners, and would not require special funding from Congress for acquisition purposes. The industry proposal calls for a fleet of 26 modern, turbine powered tankers that would meet USFS requirements, which includes the capability to carry 3,000-4,000 gallons of fire retardant. At this time, potentially two air tanker operators are proposing a modified BAE 146, and one of those operator received interim approval to operate a BAE 146 Large Air Tanker last year in the wildland firefighting environment. If the industry plan goes forward, that aircraft, or some other appropriate type, would phase out the legacy Air Tankers on the basis of adding five, seven, eight, and six aircraft in years 2012, 2013, 2014 and 2015. Acquisition and tanking costs would run about $6 to $8 million per aircraft, depending upon the model selected. Contract availability costs and flight costs would run about 30 and 35 percent higher, respectively, over the legacy fleet, but that would be offset by lower maintenance expenses, and greater mission capabilities. The modernization effort will require support from Congress in appropriating additional funding in Fiscal Years 2013 through 2015 for the purpose of covering increased contract costs for the modern fleet of aircraft. Although the federal wildland firefighting agencies have their Fiscal Year 2012 budgets, Congress must emphasize with these agencies, the need to allocate the appropriate funding to contract for modern Large Air Tankers in Fiscal Year 2012. "As an industry, we are technically capable and financially able to bring about this fleet modernization plan," said Eversole. The American Helicopter Services and Aerial Firefighting Association (AHSAFA) is the trade association representing commercial operators of helicopters and fixed wing aircraft engaged in aerial wildland firefighting.